At this unique farm, you can interact with adorable donkeys and view an ancient dolmen. 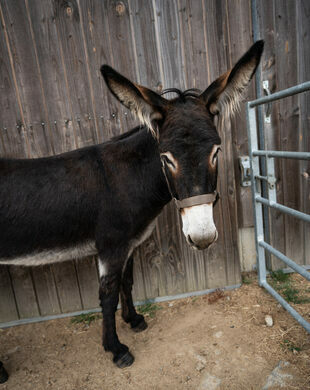 This farm is every donkey lover’s dream. It offers a wonderful chance to greet the adorable animals who call the land home. And, as a bonus, the site features an ancient tomb practically hiding in plain sight. L’asinerie du Dolmen is a unique and interesting stop when traveling through the Pays de la Loire region of France. 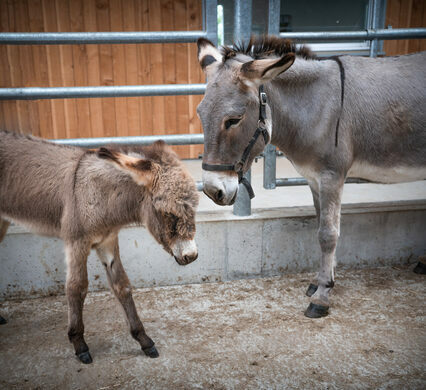 As it’s a donkey farm, the main attraction is learning about the many different breeds they house. You can go into the enclosure to interact with the friendly big-eared beasts, who will likely follow you around in search of attention. The other attraction at the farm is a bit more unexpected. Situated on the property is a megalithic tomb called a dolmen (hence the name of the farm). The enigmatic burial place is estimated to be from 5000 BC. The farm really a charming place for animal lovers and history buffs alike. It also sells various donkey milk products, and there’s also the option of tasting donkey milk itself if you’re so inclined. There are limited hours open to the public, and they vary based on local school calendars, so be sure to check that they will be open when you plan to go. The website they have is in French, but you can email them and they can let you know their days and hours for public visits. Also keep in mind that this is a farm, so be careful not to wear fancy footwear! The largest portal tomb in Europe has a capstone weighing around 150 tons.